When you stop and think about it, the concept of digital marketing as it exists today is pretty incredible. Less than a few decades ago, your marketing efforts as a small business were limited to a radio or television spot, assuming you could afford it. Fast forward to today and every business on the planet has the chance to speak its mind and be heard by millions, which is great … or at least, it should be. Don’t get me wrong. In principle, the increased availability of digital marketing presents small businesses with some unique opportunities and that are definitely worth celebrating. But the explosion in digital marketing popularity has created some unfortunate speed bumps along the way. Right off the bat, let’s address something I like to call the microphone dilemma. When you’re the only person in the crowd with a microphone, it’s easy to stand out. But if you give everyone in the crowd a microphone, there’s a good chance you’ll get drowned out in all the noise. In other words, it’s hard for small business owners to stand out from their competitors in the digital marketing space because of the similarities in their marketing strategies. This is why finding ways to increase the effectiveness of your digital marketing strategy (and increase conversions) is so important. Whether you’re in charge of a tech startup or a brick-and-mortar small business, a high conversion rate can mean the difference between surviving and thriving. 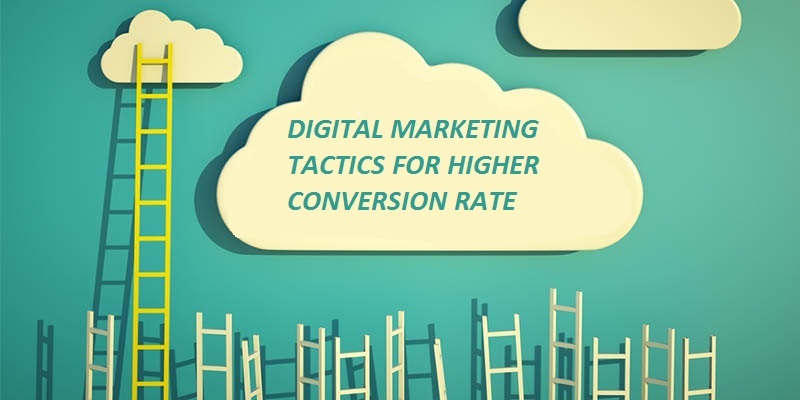 Luckily for you, we’ve put together a list of the three key digital marketing tactics that will not only enhance your future marketing campaigns but increase your conversion rate in the process. If you’re not intimately familiar with the differences between mobile marketing and desktop marketing, not to worry. Trust me, you’re certainly not alone. But if we want to make sure your digital marketing strategy is as efficient as possible, we have to develop a deeper understanding of what drives users to engage with your business. In other words, what’s going to turn potential customers into paying customers? For the sake of simplicity, let’s identify the three key aspects of any effective digital marketing strategy as: your online authority, your marketing funnel and your sales funnel. At the core of it, all are your mobile and desktop marketing strategies. As far as mobile goes, the order of the day is efficiency. Your site shouldn’t just be mobile-friendly. It should make speed a priority at every turn. For whatever reason, people tend to overcomplicate the customer experience. Are there plenty of minor elements that make up a positive experience for your customers? Of course. But their sales journey is actually pretty simple: awareness, consideration and conversion. Each of these components is complex enough to cover in its own article, but for our purposes, we’re going to focus on how you can consistently get customers through the sales journey. The success of this sales journey depends on one thing: your ability to minimize any friction present, at every stage of the sales journey. And if we’re trying to get rid of as much friction as possible, we need to start with your website. Your website copy should be appropriate, concise and convincing. You should be including calls to action (CTA) that are as specific as they are easy to follow. Navigating the site should be intuitive, not tedious. These might sound like nitpicks but every moment of friction that users experience on your site has the capacity to ruin your conversion rate. I know what you’re thinking: “Content marketing? But what if our content doesn’t get us the results we want?” If you’re serious about creating content that can actually drive engagement and revitalize your marketing efforts, you’ll need to build content that’s undeniably valuable. This does not mean that you should just mimic the content your competitors are creating. This isn’t just about offering value — it’s about offering the kind of unique value that will turn your business into an online authority. Online authority leads to traffic, sure. But what really makes content marketing such a powerful tool is how it reassures visitors that you know what you’re talking about and deserve to be viewed as an authority in your industry and care enough about the customer’s pain points to address them free of charge. The digital marketing landscape is constantly shifting, and navigating it can be an absolute nightmare, especially if you’re new to the scene. But don’t let that scare you away! As far as marketing avenues go, digital marketing is still one of the cheapest and most effective ways for small businesses to spread the news about their brand. These three key digital marketing tactics should be the foundation of your understanding of creating a successful marketing strategy. Take the time to optimize both your mobile and desktop experiences, playing to each of their strengths to ensure your user experience is smooth no matter what devices they use. In fact, the smoothness and lack of friction within your customer experience should be a focal point no matter what. To ensure that your business can both build online authority and offer customers something they can’t get anywhere else, invest in a content marketing strategy that prioritizes value. It may not be easy, but if you’re able to accomplish all this, you’ll be one step closer to increasing your conversions and strengthening your marketing campaigns for years to come.